Former adviser to a caretaker government and Human Rights Activist Advocate Sultana Kamal observed that participation of women in development activities of the country is not equal to men. 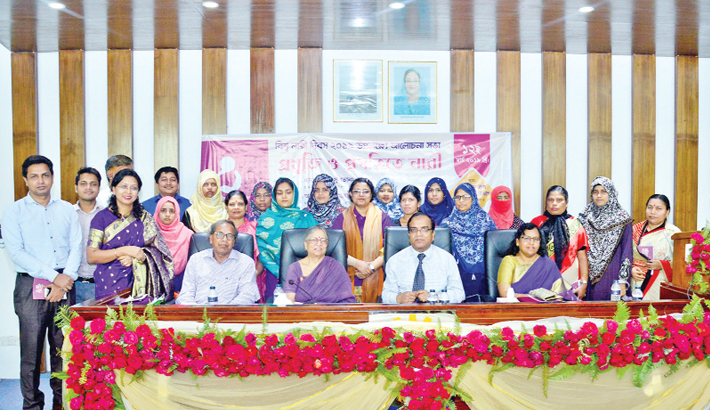 She said this while addressing as the chief guest at a discussion on ‘Women in technology and progress’ organised marking the ‘International Women’s Day’ at Chittagong University of Engineering and Technology (CUET) on Tuesday. CUET Vice Chancellor (VC) Professor Dr Mohammad Rafiqul Alam was special guest at the programme chaired by the university’s Sexual Harassment Prevention Committee Convener and Water Resources Tactics department Professor Dr Ayesha Akter. Addressing the programme, Sultana Kamal said though number of highly educated women is increasing day by day, their participation in workplace is not increasing similarly. “It is one kind of social crime if anyone fails to contribute to the society after achieving higher education,” she opined. Laying emphasis on participation of women in development activities, the human rights activist said the women will lag behind in competition if equal rights are not ensured for them. CUET VC Rafiqul Alam in his speech urged the women to come forward to play role in development of the country along with the men.